I’ve searched a lifetime, trying to find that perfect product to keep my sandwiches from being soggy! I remember being a kid, and getting my sandwich out for lunch. It’d be flat and soggy! YUCK! I would ask my friend to share her lunch. There’s nothing more gross, than a soggy sandwich! There’s nothing better, than a delicious sandwich whenever we, go on a picnic, to the waterpark, zoo, or just travel. Usually, I separate everything, because I always end up with a soggy sandwich! 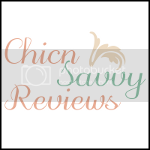 When I had the opportunity to review, “Contain This!” I was really ecstatic! Contain This! 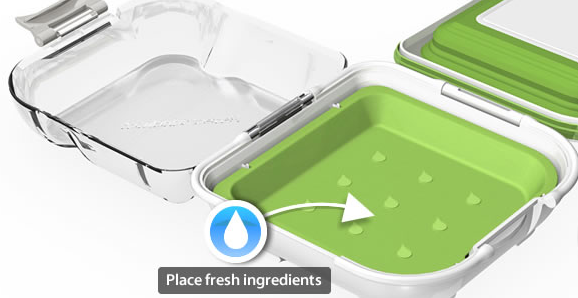 is a container, made to keep your dry ingredients, separate from your wet ingredients. While keeping your ingredients cold and fresh, until your ready to munch down! I wanted to put this product to the test, and see if I could say goodbye, to those soggy sandwiches! For the first experiment, I packed my hubby a plain ham sandwich for lunch. I didn’t want to try any extra meat, or condiments for the first time. Now what’s awesome, about this product, is that there’s a little tray at the bottom called, “PerfectCHILL” and you put it in the freezer the night before, and then put it back into place right before you make your sandwich. It keeps your food cold just like a freeze block would! How neat is that? This is what keeps your meat, lettuce, tomatoes, pickles, onions, etc. cold until your ready. In lab controlled tests, PerfectCHILL was proven to keep contents under 40 degrees for 5 hours and under room temperature for a full 8 hours. Placing it in the freezer the night before, all I had to do was place my ham on top. Like I said, I didn’t want to try anything extra at first. If you have more ingredients to use, you can expand the FLEXtech divider. The FLEXtech divider is the part where the bread sits. It has the bread symbol on top. This can push downwards, or upwards just depending on how many ingredients your going to add. I didn’t use a lot of ingredients, so I just kept it pushed downward. 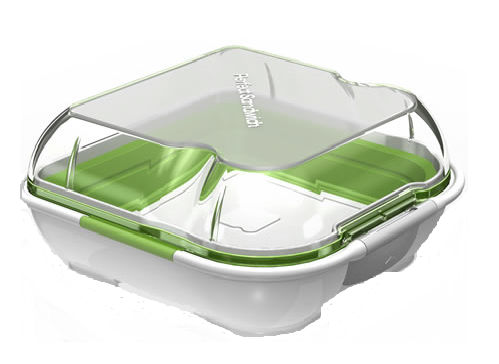 The FLEXtech divider creates a water tight barrier, between the fresh moist ingredients and your bread. Finally, I added the bread above the moist ingredients. Then WHA-LA you have a perfect sandwich! 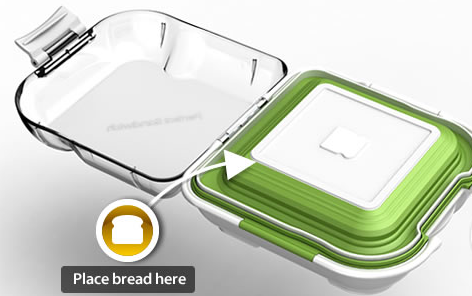 I love that it has a latch to keep the container tight, so no air gets inside to make your bread feel stiff. Your ingredients stay nice and secure. When using sandwich bags, sometimes my ingredients are all over the place. My hubby was just as excited to try this as I was. He took it to work, came home and told me that it was, “Excellent!” He said he didn’t have to worry about the numerous sandwich bags. Especially, not having to worry about cleaning his mess up afterwards! That sometimes gets irritating, when you know your on a time limit for lunch. Now all he has to do, is bring it home to me, and I can easily hand wash it! Very easy to clean! Saves money and we don’t have to worry about putting the bags in the landfill! 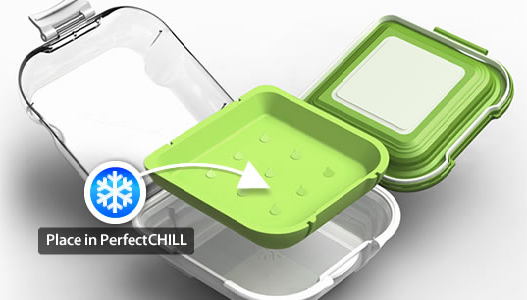 Put the PerfectCHILL tray in freezer the night before, or even hours before making a sandwich! Bread symbol shows where you place bread. This is also the FLEXtech divider you can push downwards, or outwards depending on the amount of ingredients. 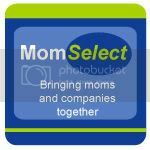 This container is BPA and phthalate free plastic which is a HUGE plus! I know I’ll be using it when my daughter starts school. She’ll want a turkey and cheese sandwich! On the first day of using it, I had said previous that I didn’t want to try anything extra. Since then I’ve used a lot of different condiments. I put meat, pickles, lettuce, and onions in the PerfectCHILL tray together. I pushed the FLEXtech divider upwards, because I had more ingredients this time. I even added some mayo to the bread! In the end, we had a perfect soggy – free sandwich! It was delish! You can use this container for numerous items, because of it being an air tight container! I love salad, so that’ll be one I’ll definitely be trying! This product has definitely amazed me. Therefore, in the end my dreams did come true! No more worrying about soggy sandwiches! I would recommend this to every household, and to at least own one or more! These are great to have around with school starting back. If you don’t have one, your missing out! What are you waiting for? You can buy this for the great price of ONLY $12.99! Disclosure: Mommy’s Little Rugrat Princess did not receive any monetary compensation to review this product. I was sent the product above for free to do a review on. All opinions are honest, and my own, and receiving this product for free did no affect my opinion in anyway. Thank you to Contain This! 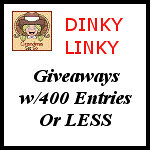 for the product and letting me share my opinion of their product. Facebook is in no way associated with this review, and is released from any, and all liability. This looks really neat! I haven’t heard or seen these before, thanks for sharing! !